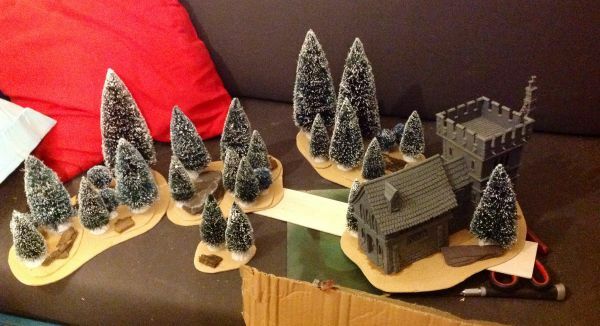 Over the past few months I’ve been working on some scenery for my new local gaming club, at Windermere, affectionately known as The Den (#TheDen). 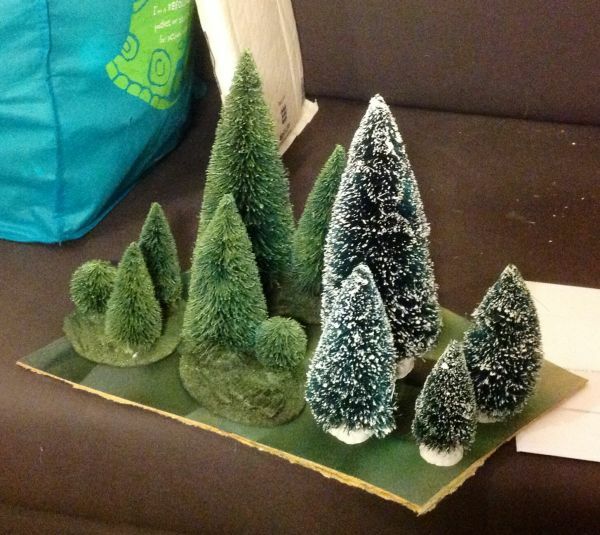 The first of the pieces of scenery to be done were some forests. 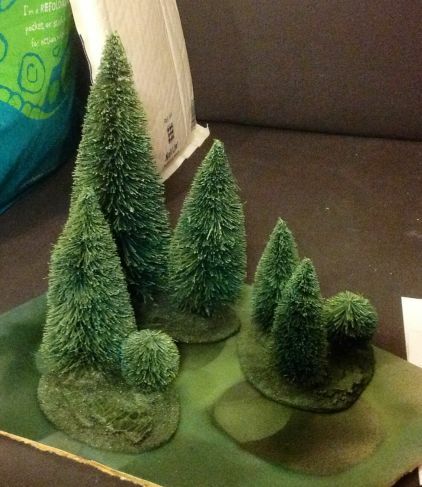 The idea was to make these as easy to play on as possible, and to do so I made the actual footprint of the forest from one piece of MDF which I textured but left flat. 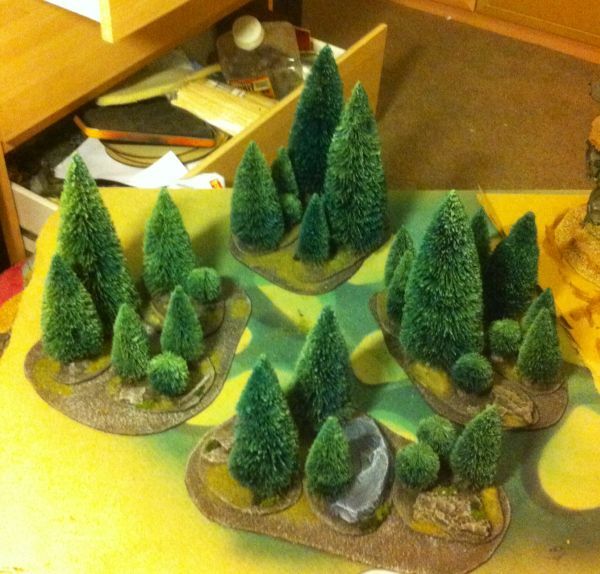 Stands of trees were then created on separate smaller bases which could be textured, detailed, but removed during gameplay to leave the overall forest footprint behind. The extra detailing on the stands of trees was done with the addition of real tree bark to represent rocky outcrops, twigs as fallen branches, and the obligatory tufts and clump foliage to break up the flat areas. 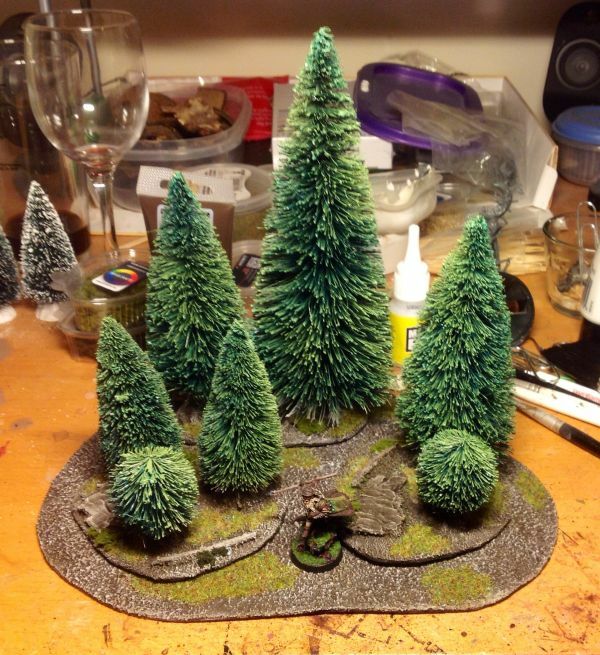 This entry was posted in Beastmen, Bretonnians, Dark Elves, High Elves, Orcs and Goblins, Scenery, The Empire, Warhammer Fantasy, Wood Elves and tagged forest scenery, trees scenery, warhammer forest, warhammer pine forest, warhammer pine trees, warhammer scenery, Warhammer terrain, warhammer trees, warhammer wood, wood scenery. Bookmark the permalink. Hey, great looking scenery! 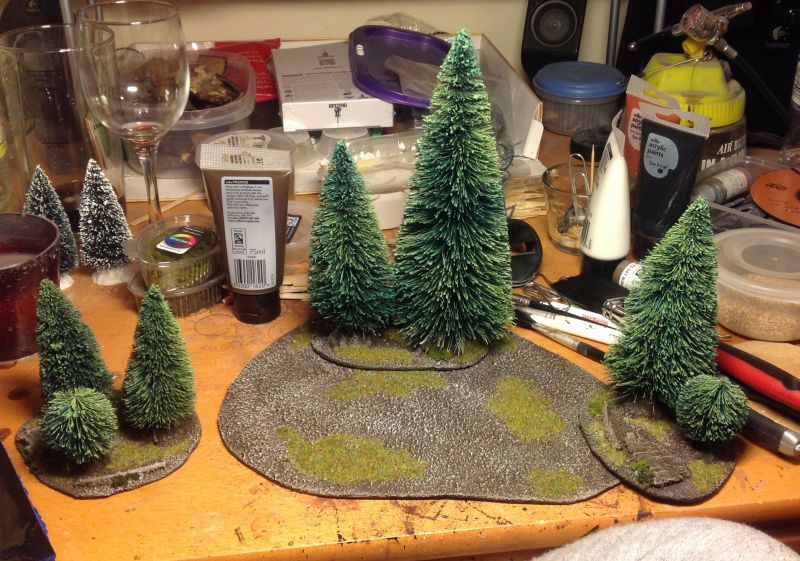 Two questions, where did you get those trees from and what is your painting recipe for the dirt? Thanks!